CA 670, Aitken1 Measuring Leadership Week or Unit 1 Part 1 Visuals provided by students(source unknown), Microsoft clip art, or as marked. 1 CA 670, Aitken1 Measuring Leadership Week or Unit 1 Part 1 Visuals provided by students(source unknown), Microsoft clip art, or as marked. 3 CA 670, Aitken3 Week or Unit 1 Agenda 1. Syllabus is online. 2. Use eCollege. 3. Signup Sheet. 4. Introduce yourself to the class. 5. Discuss course overview. 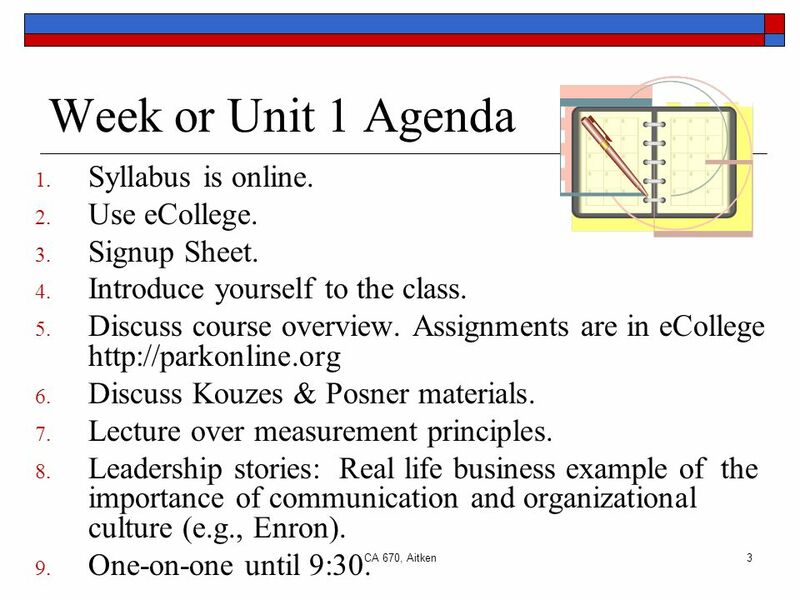 Assignments are in eCollege http://parkonline.org 6. Discuss Kouzes & Posner materials. 7. Lecture over measurement principles. 8. Leadership stories: Real life business example of the importance of communication and organizational culture (e.g., Enron). 9. One-on-one until 9:30. 4 CA 670, Aitken4 1. Readings due each week. 2. A quiz and discussion participation each week (6 needed). 3. 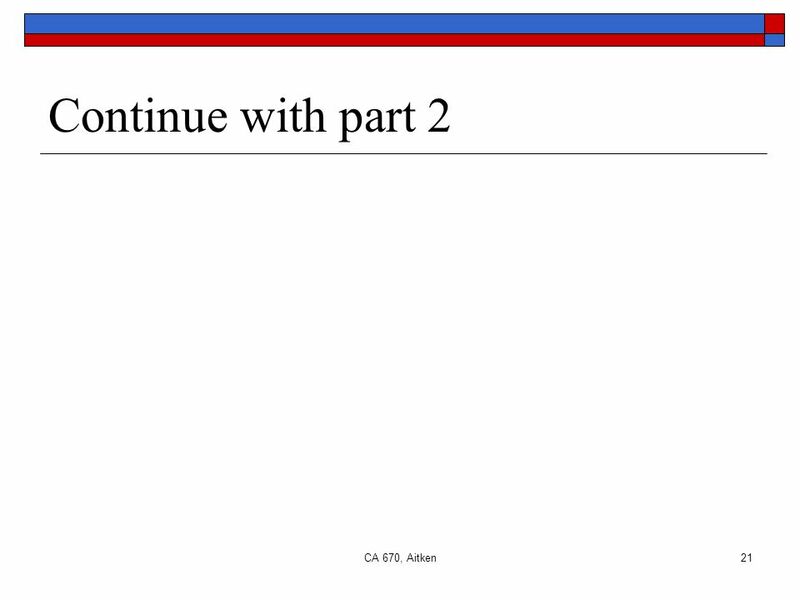 Weekly question oral presentation assignment ( Hackman and Johnson Study Guide Knowledge Questions). COURSE OVERVIEW Come prepared for each class meeting! 5 CA 670, Aitken5 Learning Activities For Next Week. 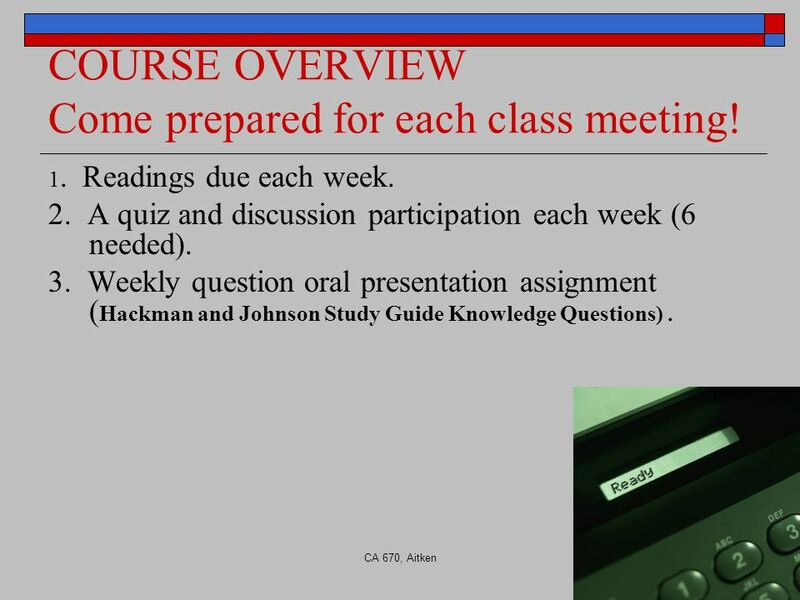 Hackman and Johnson Study Guide (Knowledge Questions) "Learning Activities by Week. Do the question for the upcoming week (not current). 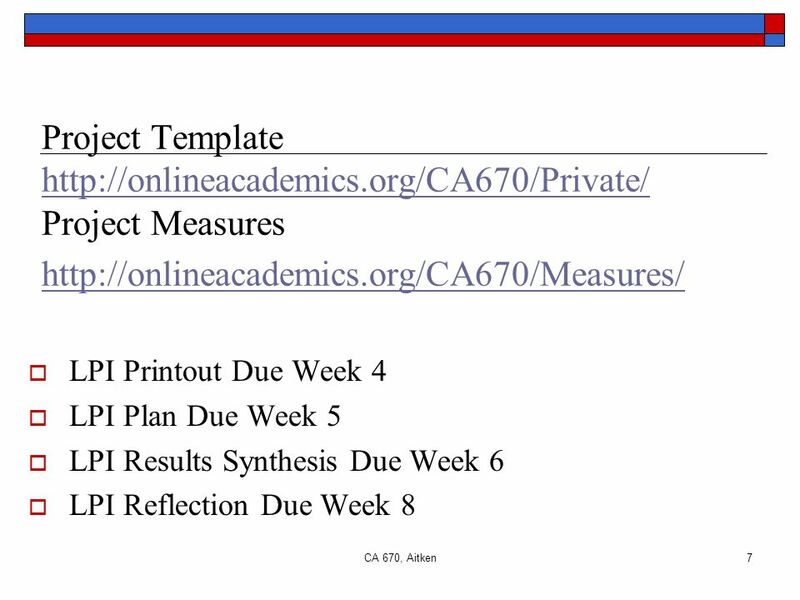 6 CA 670, Aitken6 Assignments are in eCollege http://parkonline.org Link on lower left. 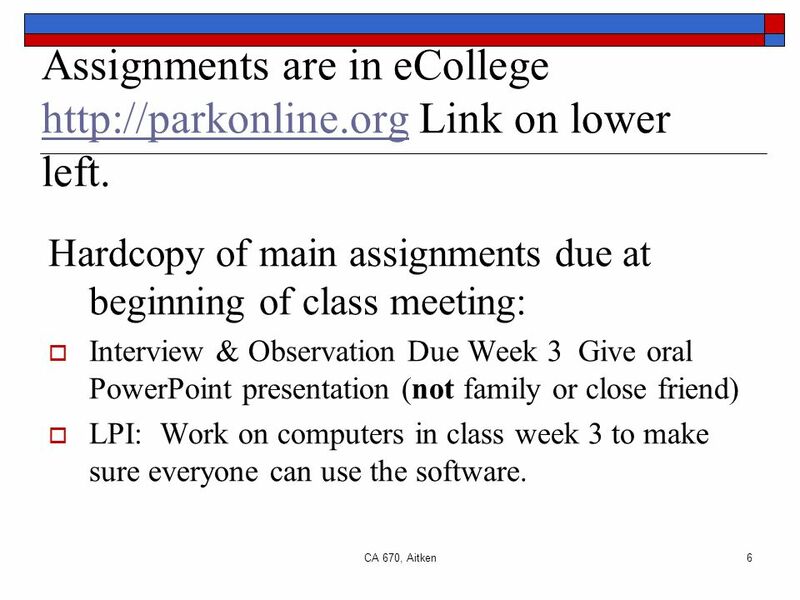 http://parkonline.org Hardcopy of main assignments due at beginning of class meeting: Interview & Observation Due Week 3 Give oral PowerPoint presentation (not family or close friend) LPI: Work on computers in class week 3 to make sure everyone can use the software. 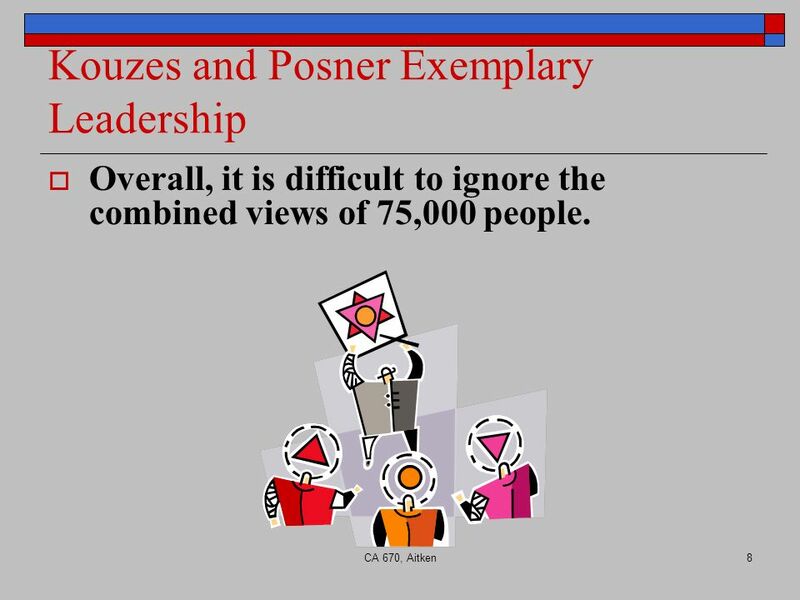 8 CA 670, Aitken8 Kouzes and Posner Exemplary Leadership Overall, it is difficult to ignore the combined views of 75,000 people. 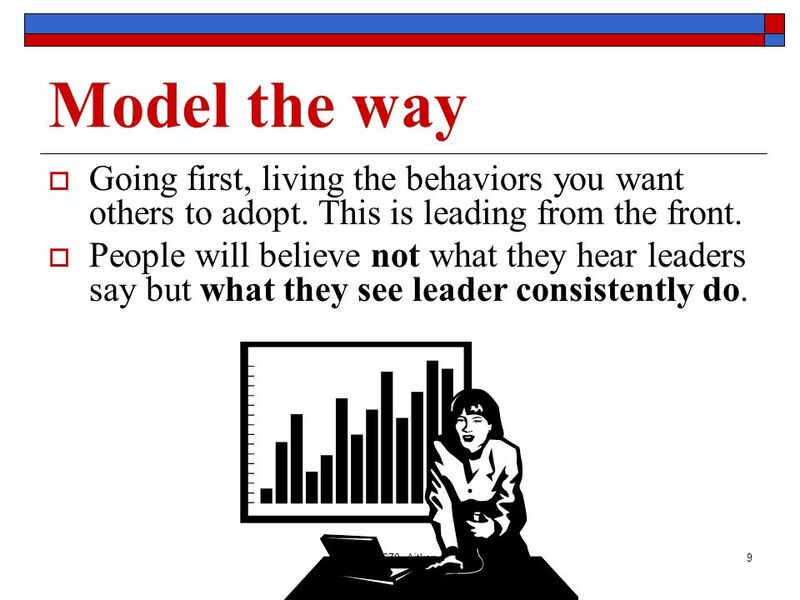 9 CA 670, Aitken9 Model the way Going first, living the behaviors you want others to adopt. This is leading from the front. People will believe not what they hear leaders say but what they see leader consistently do. 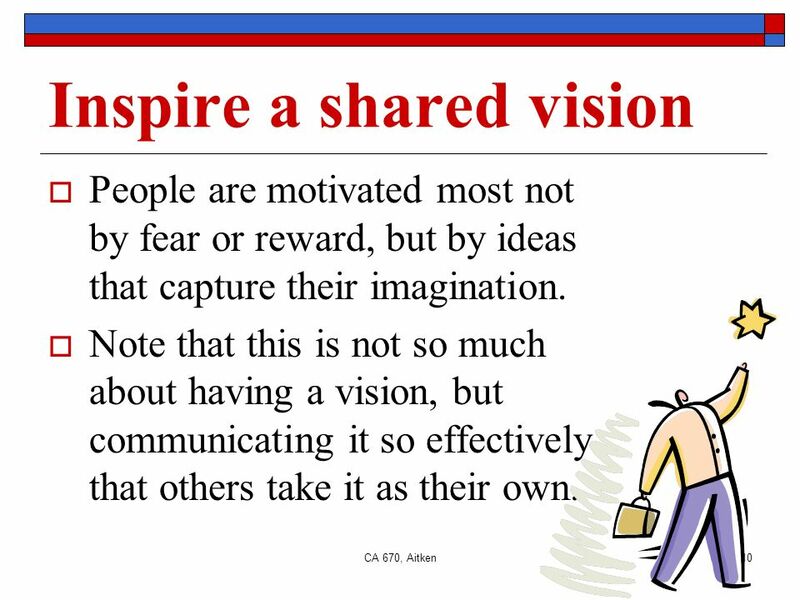 10 CA 670, Aitken10 Inspire a shared vision People are motivated most not by fear or reward, but by ideas that capture their imagination. Note that this is not so much about having a vision, but communicating it so effectively that others take it as their own. 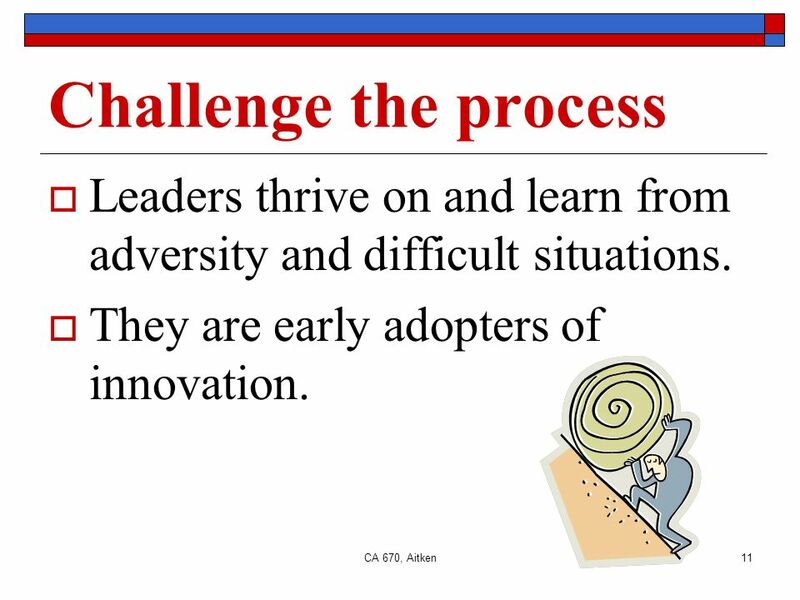 11 CA 670, Aitken11 Challenge the process Leaders thrive on and learn from adversity and difficult situations. They are early adopters of innovation. 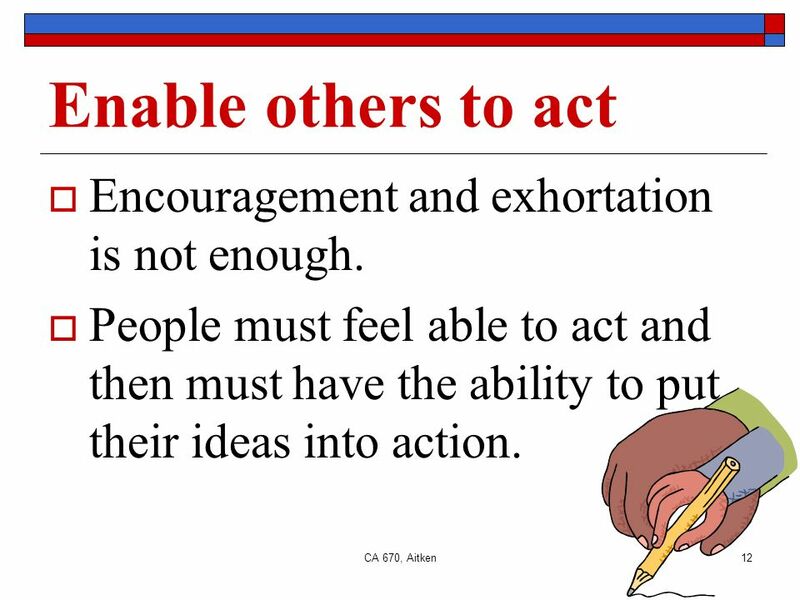 12 CA 670, Aitken12 Enable others to act Encouragement and exhortation is not enough. People must feel able to act and then must have the ability to put their ideas into action. 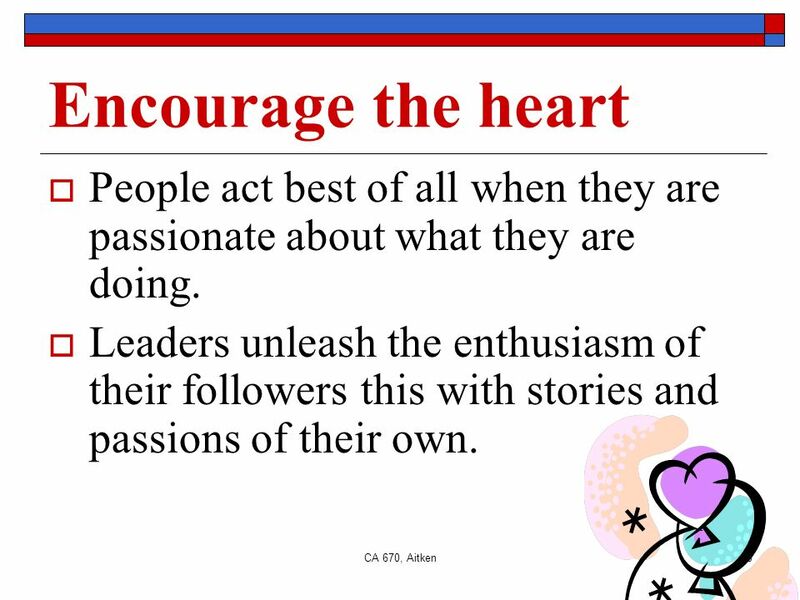 13 CA 670, Aitken13 Encourage the heart People act best of all when they are passionate about what they are doing. Leaders unleash the enthusiasm of their followers this with stories and passions of their own. 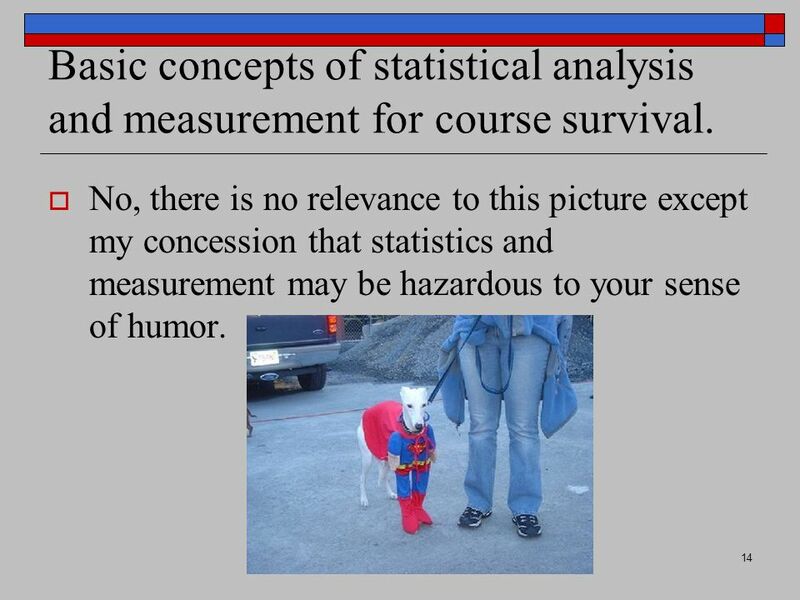 14 CA 670, Aitken14 Basic concepts of statistical analysis and measurement for course survival. No, there is no relevance to this picture except my concession that statistics and measurement may be hazardous to your sense of humor. 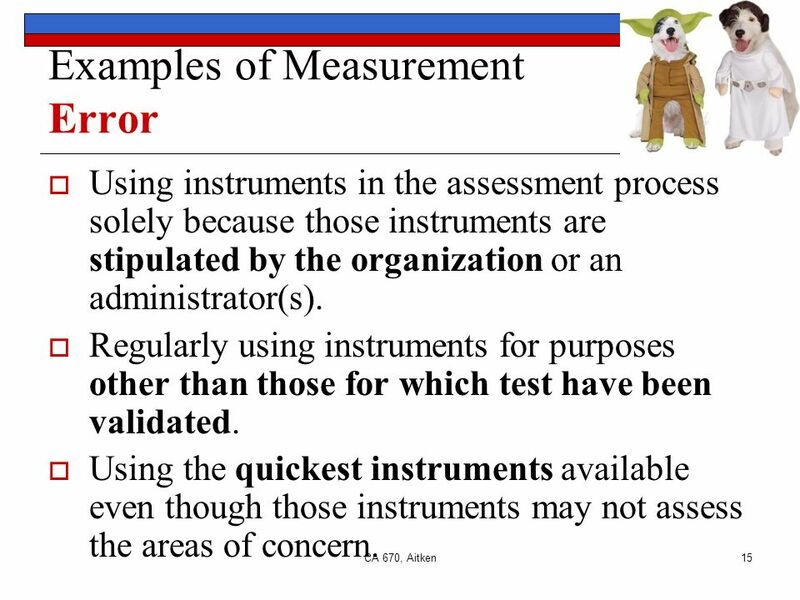 15 CA 670, Aitken15 Examples of Measurement Error Using instruments in the assessment process solely because those instruments are stipulated by the organization or an administrator(s). Regularly using instruments for purposes other than those for which test have been validated. Using the quickest instruments available even though those instruments may not assess the areas of concern. 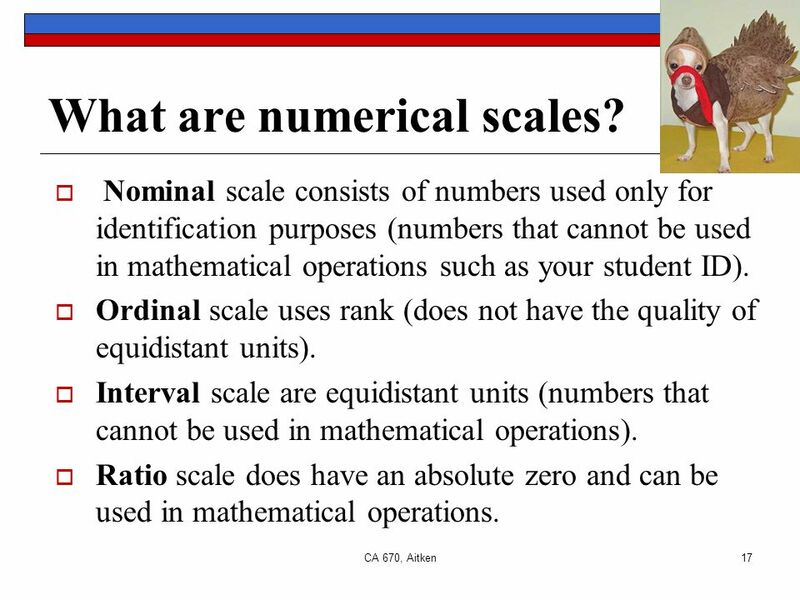 17 CA 670, Aitken17 What are numerical scales? Nominal scale consists of numbers used only for identification purposes (numbers that cannot be used in mathematical operations such as your student ID). Ordinal scale uses rank (does not have the quality of equidistant units). Interval scale are equidistant units (numbers that cannot be used in mathematical operations). Ratio scale does have an absolute zero and can be used in mathematical operations. 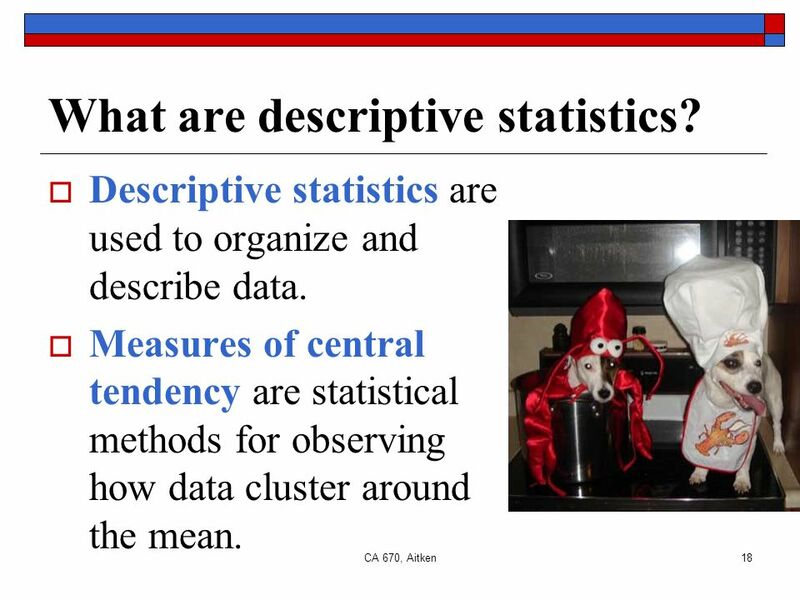 18 CA 670, Aitken18 What are descriptive statistics? Descriptive statistics are used to organize and describe data. 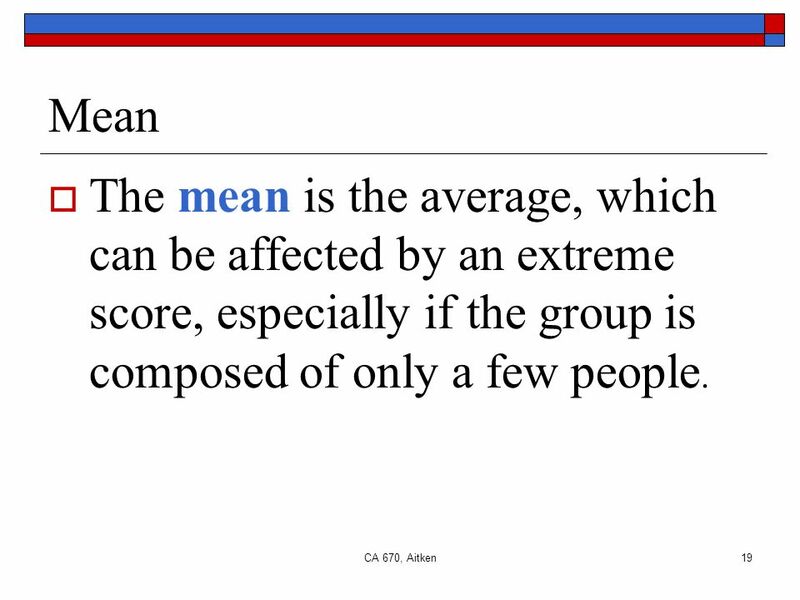 Measures of central tendency are statistical methods for observing how data cluster around the mean. 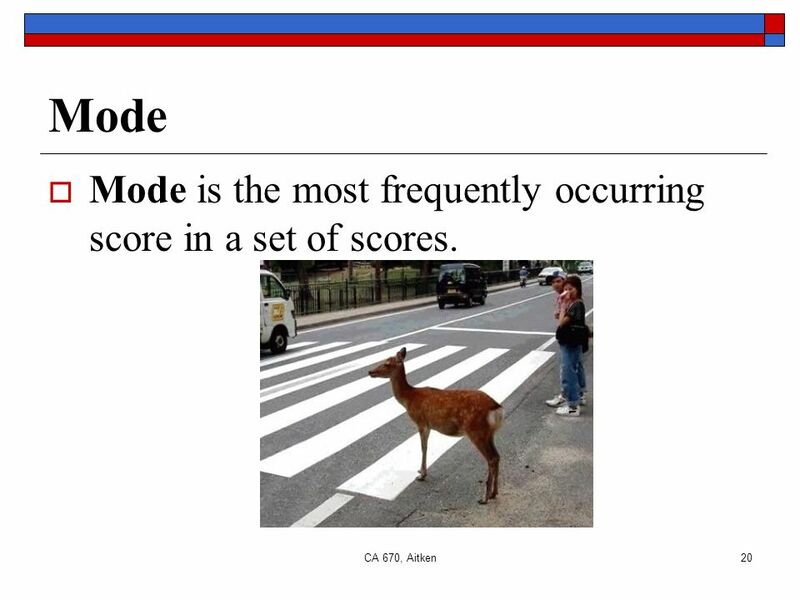 20 CA 670, Aitken20 Mode Mode is the most frequently occurring score in a set of scores. 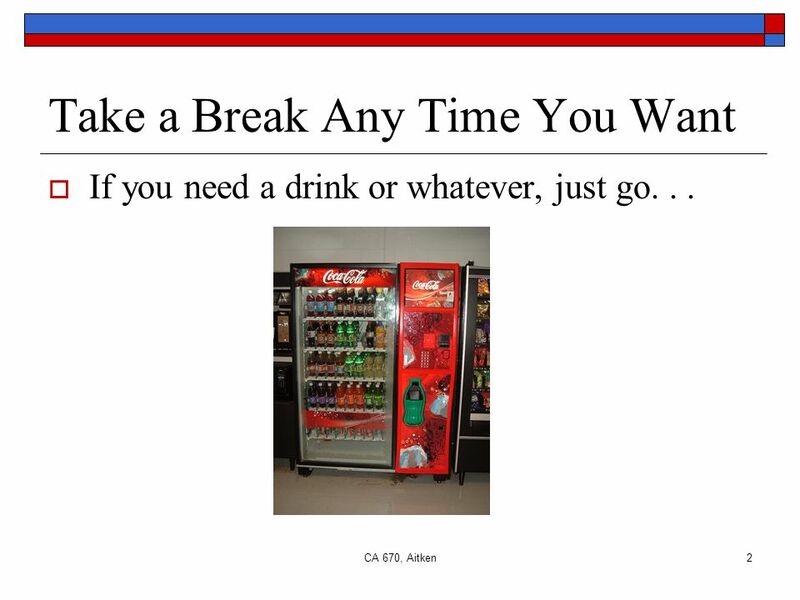 Download ppt "CA 670, Aitken1 Measuring Leadership Week or Unit 1 Part 1 Visuals provided by students(source unknown), Microsoft clip art, or as marked." Measuring Leadership (Aitken) Unit 8: Measuring Leadership Unit 8 Closure. 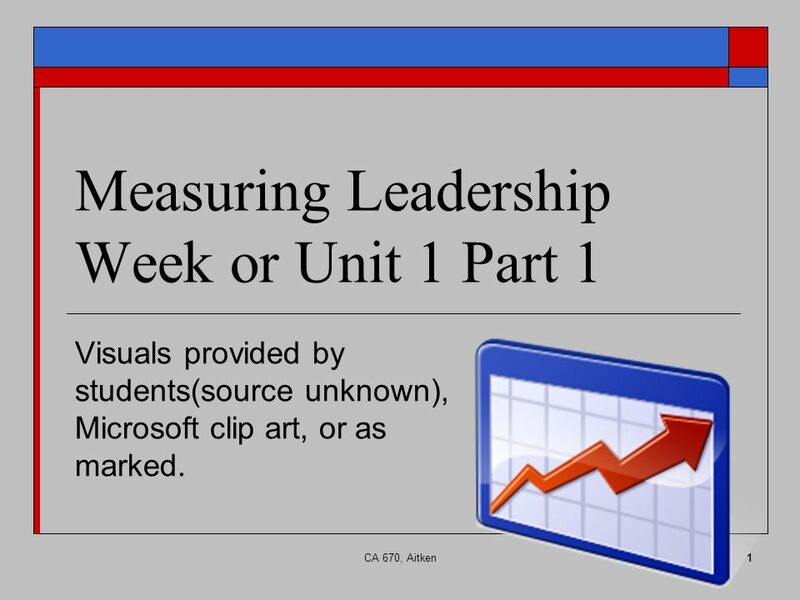 Unit 2: Measuring Leadership (Aitken) Unit 3: A Shared Vision. Testing and Evaluation George Siemens. Agenda Introductions General house keeping - course length, process Review course outline How you will be assessed. LEADERSHIP: IS IT JUST ABOUT THE LEADERS? SUPREME COUNCIL LEADERSHIP SEMINAR MARCH 27, 2010 LEXINGTON, MA. Week 5 Lecture Dr. Jim Lloyd. The Leadership Challenge Leadership isn’t about personality, it is about behavior  The exemplary leadership practices grounded. A Trio of Experiential Exercises for HRM Courses Kenneth M. York & Lizabeth A. Barclay School of Business Administration Oakland University. 1. What types of leaders emerged? 2. Who were leaders? 3. What leader behaviors were exhibited? 4. What occurred that helped you solve the problem? 5. Developing Personal Leadership Building Connections: Community Leadership Program. AYANNA HILL-GILL HEAD’S NETWORK OCTOBER 2014 Your Way of Leading. Agenda for January 27 th Administrative Items/Announcements Attendance Handout: presentation signup Pictures today! Finish this week’s topic: Research. Recruitment of online tutors Sharon Slade, Fenella Galpin OU Business School. MB 802: Managing Organizational Change Course Evaluations 2006 & 2007 Prof. Brad Harrington Boston College. Descriptive Statistics Chapter 3 Numerical Scales Nominal scale-Uses numbers for identification (student ID numbers) Ordinal scale- Uses numbers for. Agenda for January 25 th Administrative Items/Announcements Attendance Handouts: course enrollment, RPP instructions Course packs available for sale in. 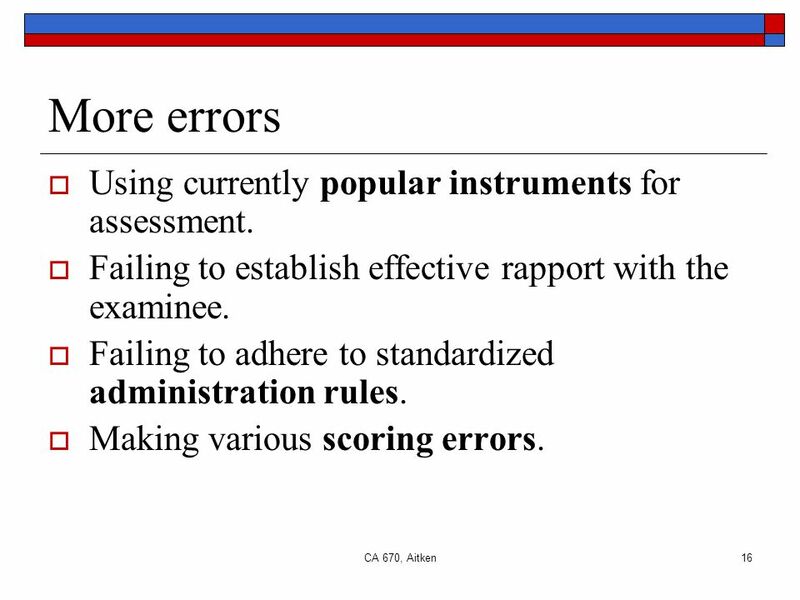 PPA 501 – Analytical Methods in Administration Lecture 5a - Counting and Charting Responses.